A Couple of New Arrivals…. 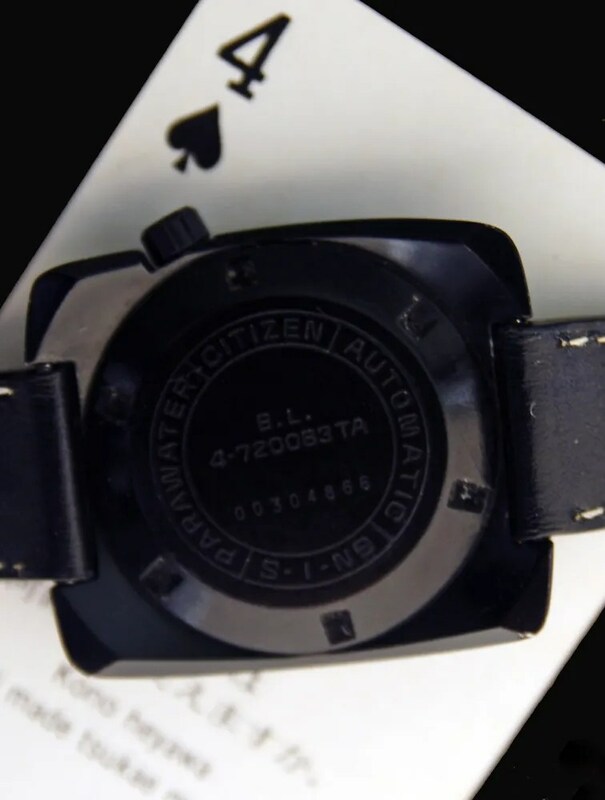 This Custom V2 is one of the first models with Citizen’s black coating on a light alloy case. 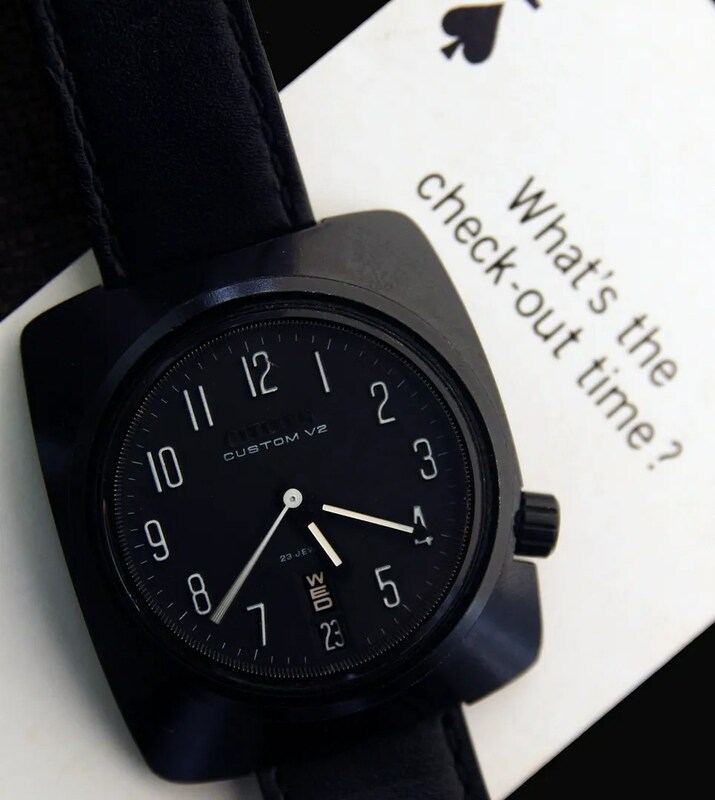 They were launched in May 1970, with Citizen pioneering this finish and introducing new case and dial designs to appeal to the changing fashions of that era. 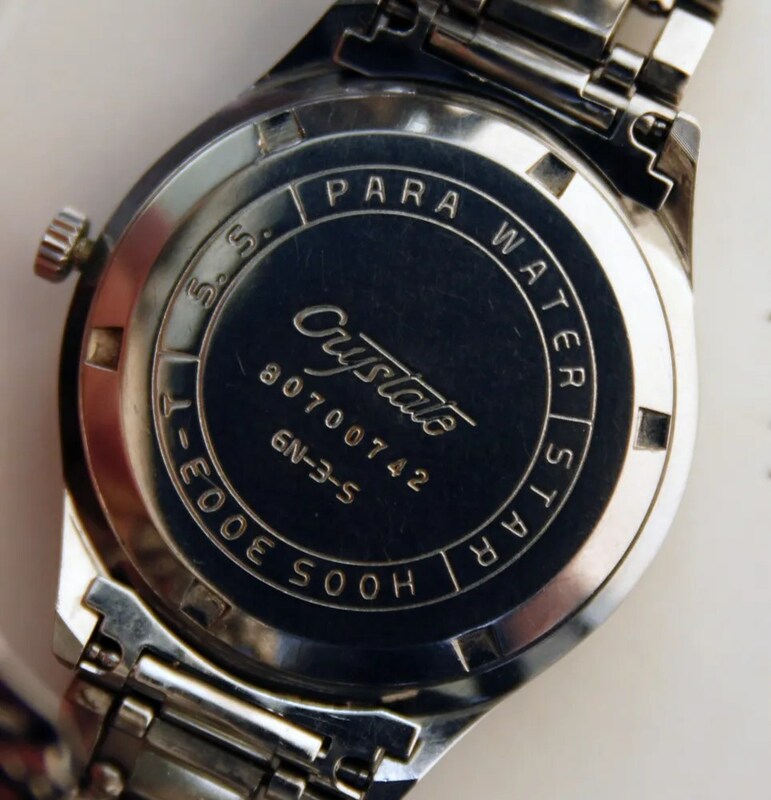 (NB: the applied ‘Citizen’ logo is polished steel, but the lighting didn’t show this). 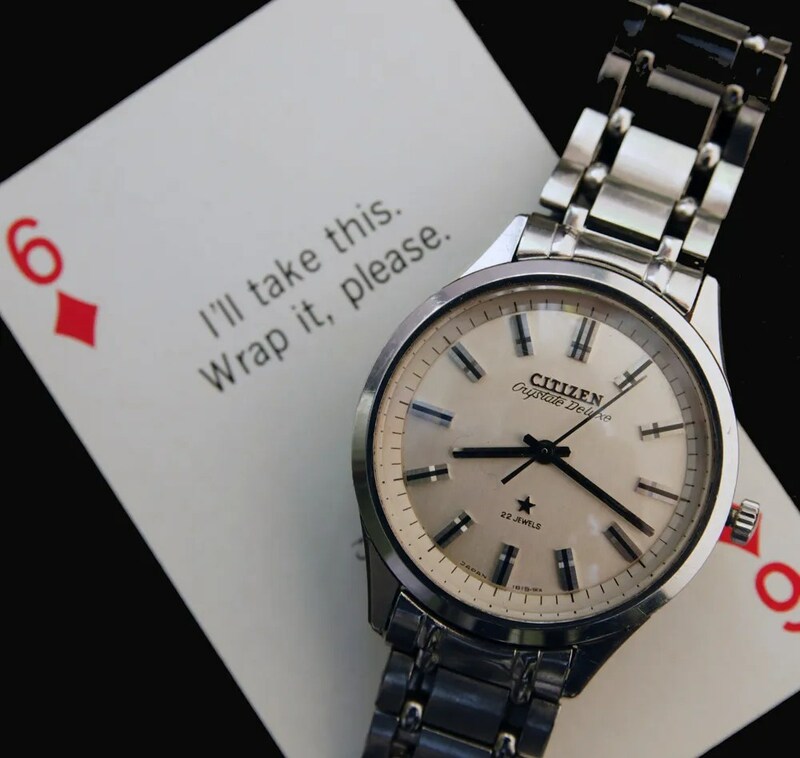 This entry was posted in Vintage Watches and tagged Citizen Crystate Deluxe, Citizen Custom V2, Vintage Citizen Watch. Bookmark the permalink.